Valletta, Malta’s capital city, is a treasure-trove of Malta’s historical past, not to mention a virtual living exhibition embodying rich architecture, Maltese cultural heritage and educational entertainment. The sheer number of museums and exhibitions present in this city alone is enough to fill up more than a day in any visitor’s itinerary, and there are actually places which are surely unmissable to those who are interested in learning more about Malta’s and the Mediterranean region’s past. Built between the 16th and 18th century in the Mannerist style by the architect Gilormu Cassar, this served as the main palace for the Grandmaster of the Order of the Knights of Saint John, who at the time governed the island. There are two main entrances to the Palace, one found on Old Theatre Street, and the other on Merchant’s Street. It currently houses the Office of the President of Malta, The Palace State rooms and the Palace Armoury are run by Heritage Malta and open to the public. To note are also the famous Tapestry Hall, the State Dining Hall and the Ambassador’s Room. Housed in the Auberge de Provence in Republic Street, the Museum of Archaeology’s building itself is an architectural gem, having been built in 1571 in the Baroque style. The Museum hosts different exhibitions, the main of which are available all year long. 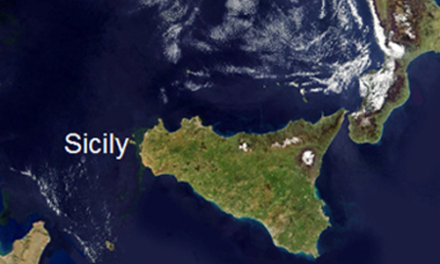 The earliest artefacts on display date back to Malta’s Neolithic Period (5000BC). One can find artefacts originating from such sights as Għar Dalam, Skorba and Żebbuġ, as well as items pertaining to the Ħal Saflieni Hypogeum and the Xagħra Stone Circle among others. Of particular note are the ‘Sleeping Lady’ from the Ħal Saflieni Hypogeum and the ‘Venus of Malta’ from Ħaġar Qim. Situated in Fort St. Elmo, the National War Museum is one of the most popular museums on the island. It hosts exhibits relating to Malta’s military history ranging from the Bronze Age to present times, however is mostly features artillery pertaining to World War I and World War II. The building housing the Museum was originally a gunpowder magazine, which was converted into an armoury in the 19th century. Anti-aircraft gun crews were trained there during World War II. Located within the building of the Sacra Infermeria (Holy Infirmary) in the Malta Conference Centre, this small yet interesting exhibition focuses on the role and history of the Knights of the Order of St. John (or the Knights Hospitalliers) in the Maltese islands. Although the Conference Centre is currently in use for other functions, the exhibition itself, located in the underground halls and corridors of the former 16th century hospital used by the knights, is accessible to the public. Although these mentioned are the most well-known of the museums in the capital city, there are a number of others which would be worthwhile visiting. 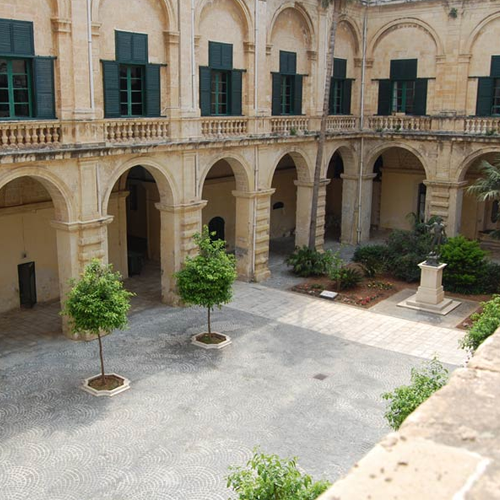 These include the National Museum of Fine Arts (this was closed in 2016 as it relocated to the Auberge d’Italie, however it will be opening again in 2018), Malta’s Postal Musuem in Archbishop Street, and Casa Rocca Piccola, a beautiful 16th century Palace which houses original pieces and documents dating from the 16th century to the present day, not to mention the largest private collection of antique Maltese costumes and the largest private collection of Maltese lace. This Palace is privately owned but also available to the public.